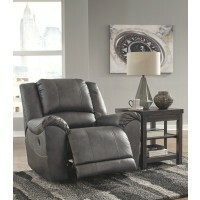 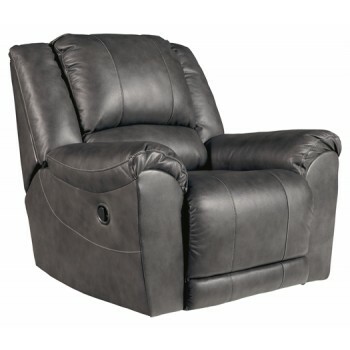 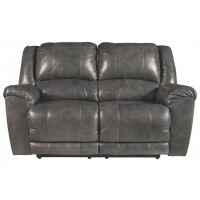 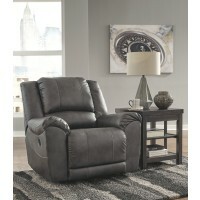 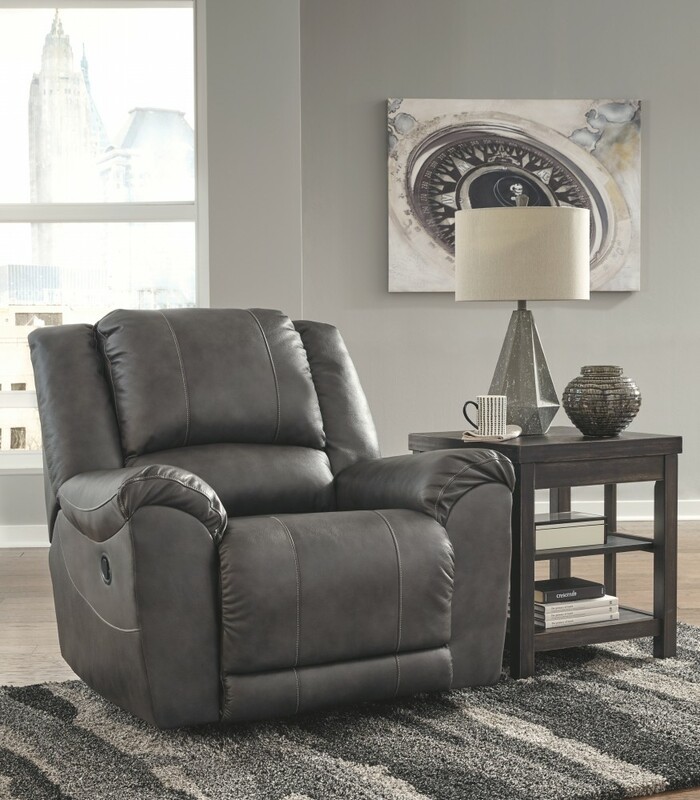 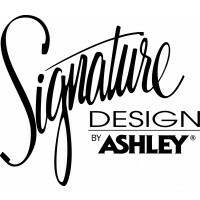 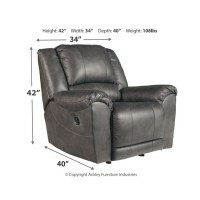 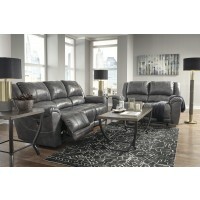 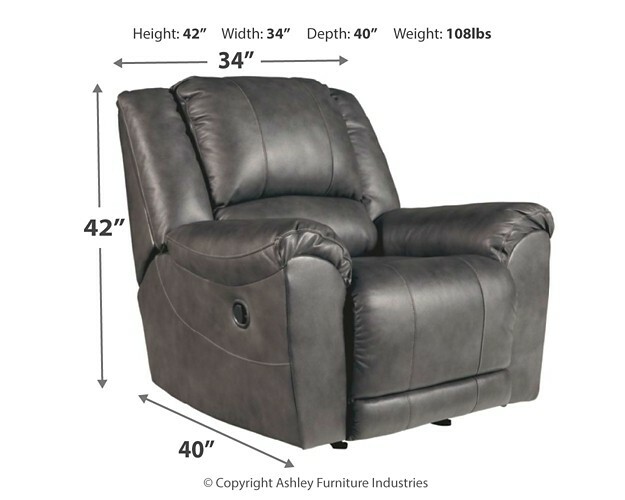 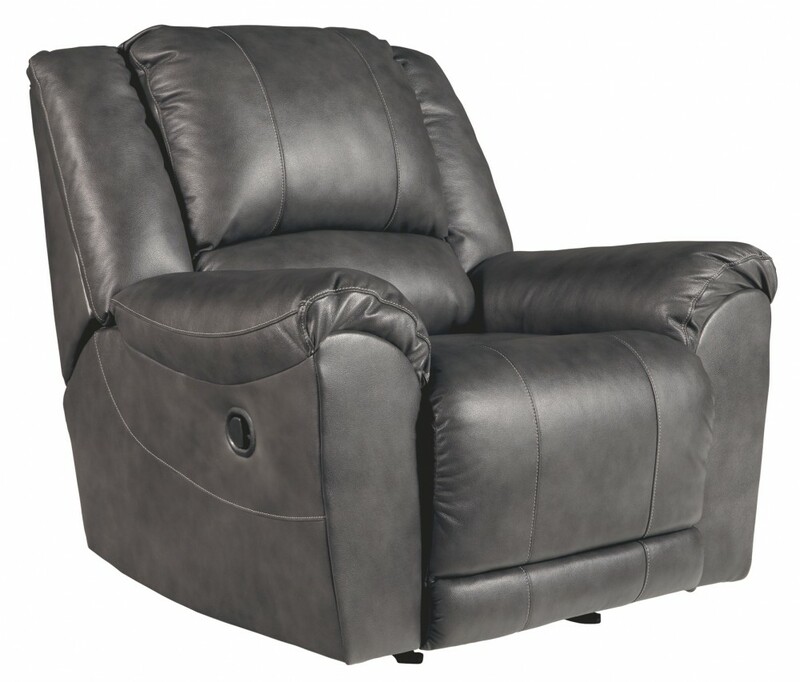 Designed in a striking charcoal color, this is the sophisticated rocker recliner you'll love. 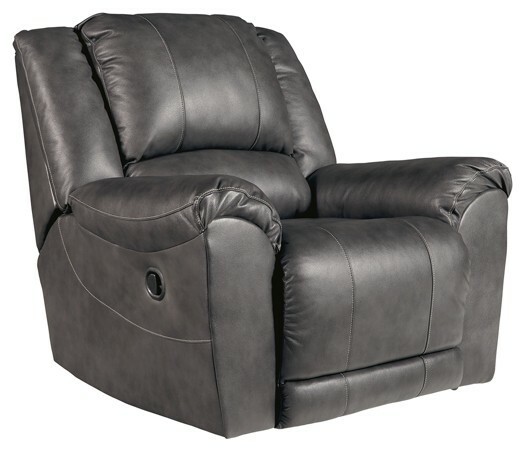 Not only is it stylish, it’s also extremely plush. 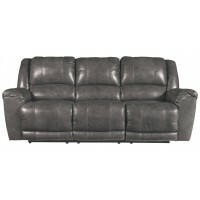 The entire seating area is wrapped in our highest quality leather for a decadent experience. 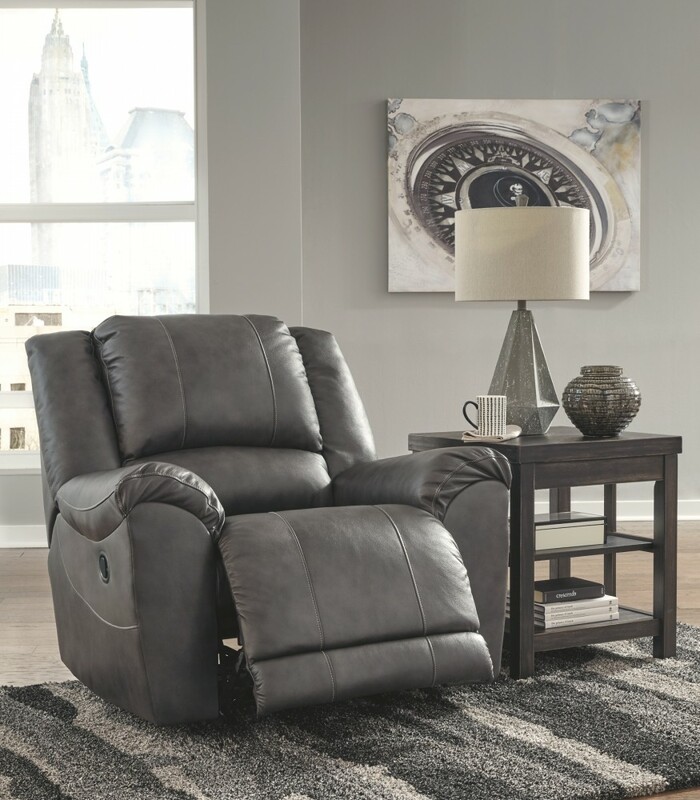 Kick back, relax and settle in.